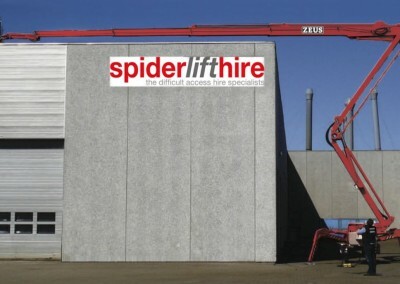 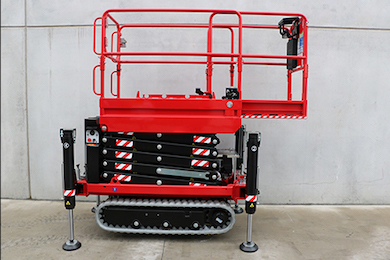 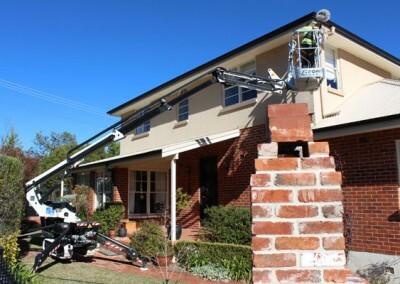 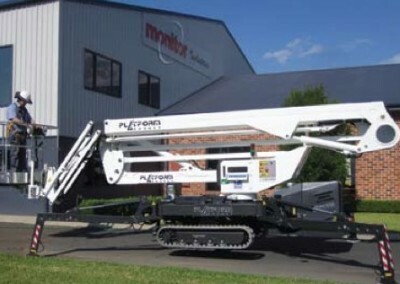 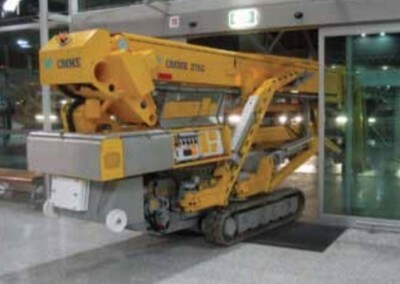 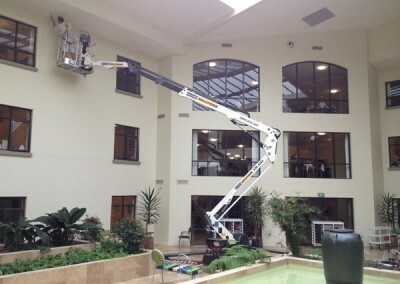 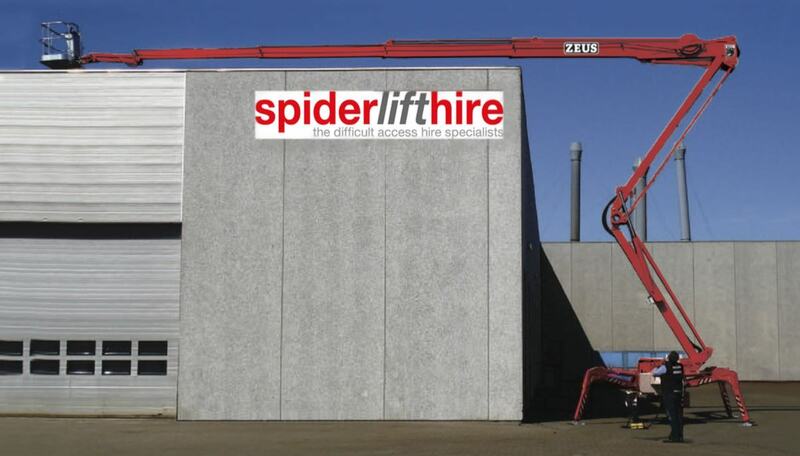 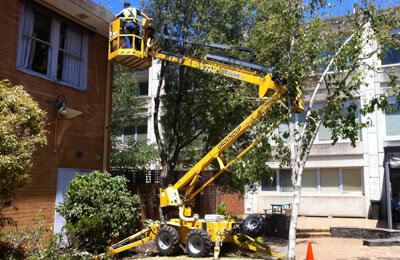 * Don't Hire A Scissor Lift - A Spider Lift Is Better! 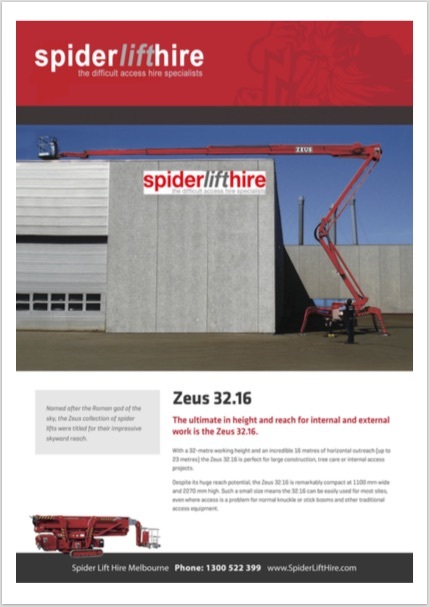 The ultimate in height and reach for internal and external work is the Zeus 32.16. 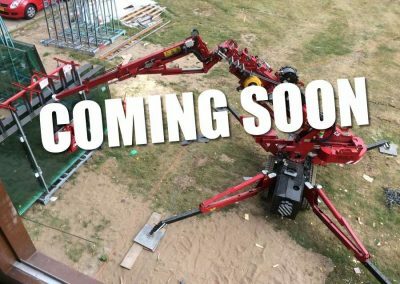 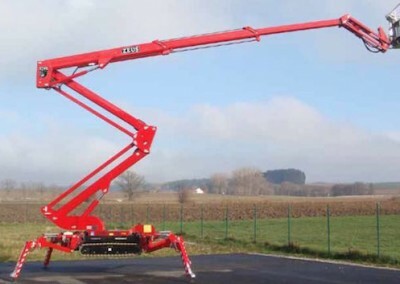 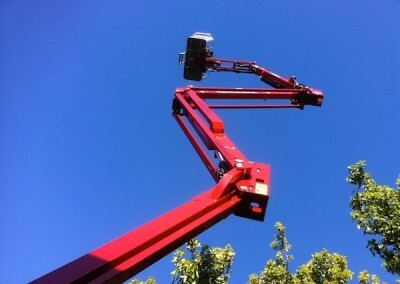 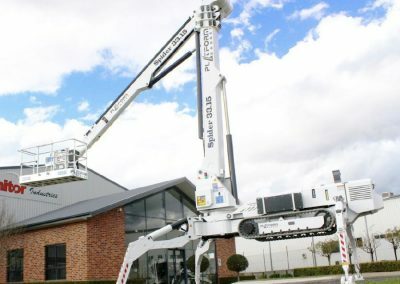 With a 32-metre working height and an incredible 16 metres of horizontal outreach (up to 23 metres) the Zeus 32.16 is perfect for large construction, tree care or internal access projects. 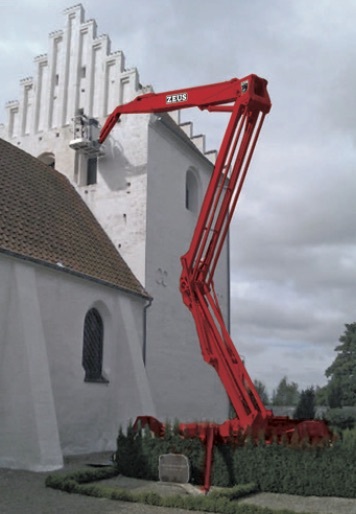 Despite its huge reach potential, the Zeus 32.16 is remarkably compact at 1100 mm wide and 2270 mm high. 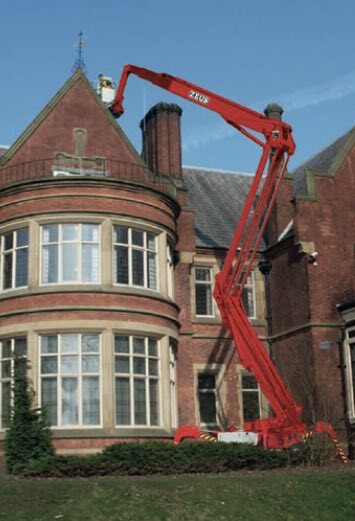 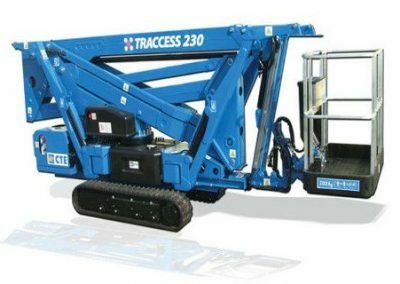 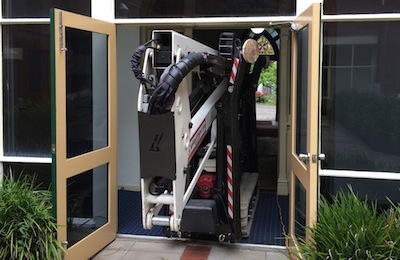 Such a small size means the 32.16 can be easily used for most sites, even where access is a problem for normal knuckle or stick booms and other traditional access equipment. 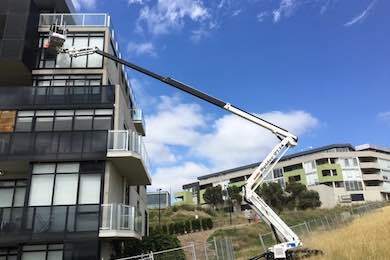 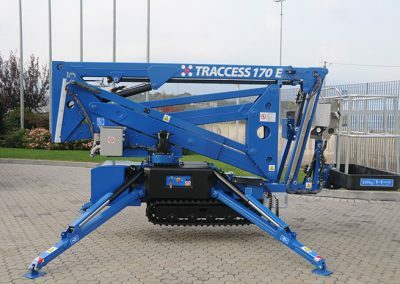 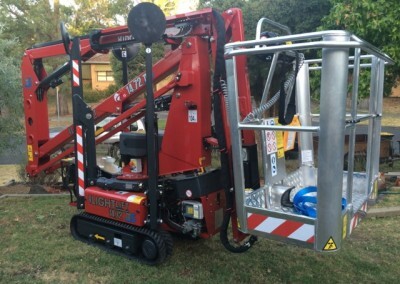 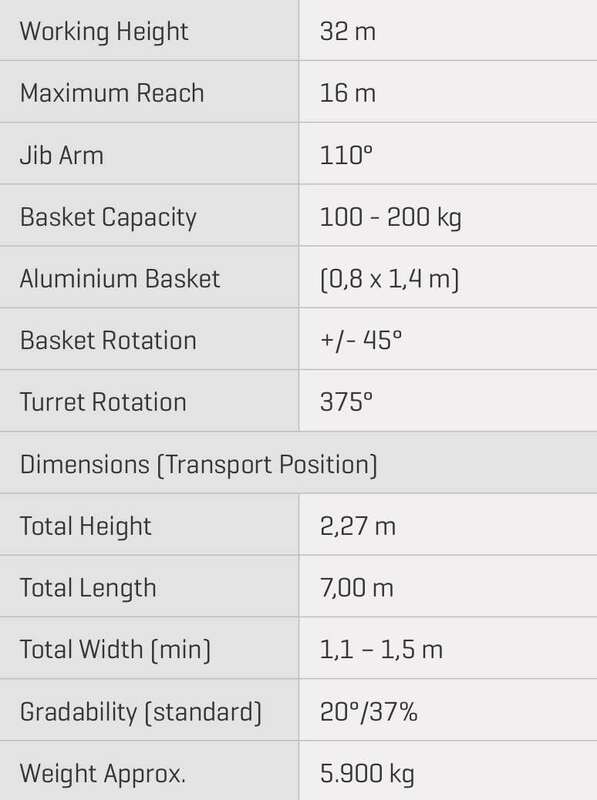 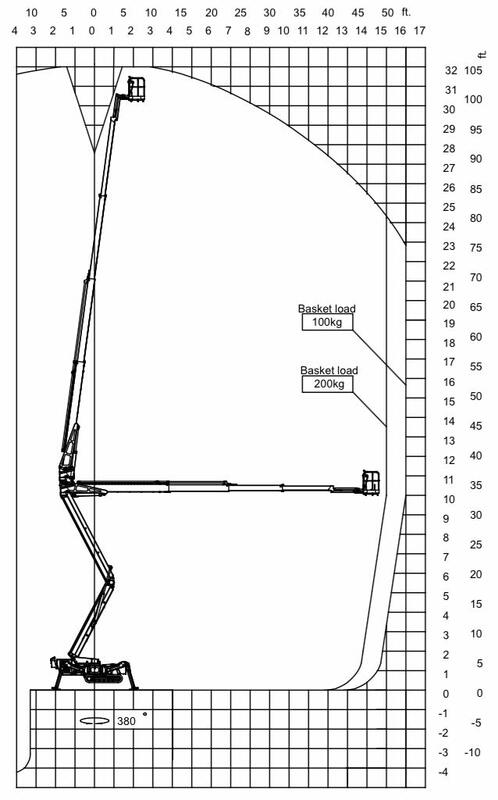 With a basket load capacity of 200 kg, jobs can be completed with two people in the basket up to 32 metres vertically and 15 metres horizontally. 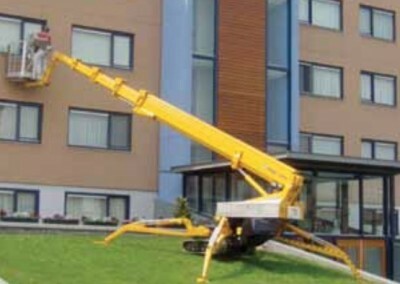 The extra meter can be obtained by reducing the load capacity to 100 kg. 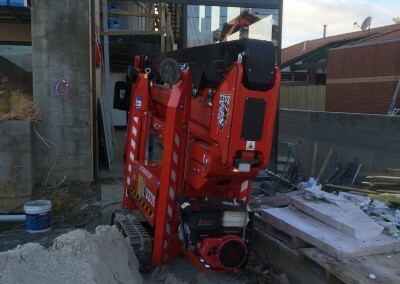 All the latest performance and safety features are standard with the Zeus 32.16 including a Kubota diesel engine and 240 V power, self-loading function, auto levelling, basket rotation, IDRC remote control and full construction compliance kit.